Welcome! 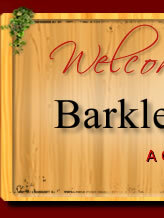 Check out what is happening in Barkley Square Civic Club, Inc.! Map of HCFCD projects - HCFCD Projects. Click on the map to get an interactive map of current HCFCD projects. Below is a collection of various web sites regarding city services and resources for neighbors. CoH Emergency Information - City of Houston Emergency Operations Center. Houston 311 Website - Houston service requests and other info. City of Houston - General information of city announcements and services links. 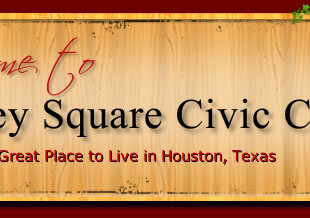 Harris County Recovery Network - information on housing, debris removal, insurance, etc. Ready Harris County - Another resource around emergency preparedness. Space City Weather - No nonsense weather information. Harris County Constable Pct 5 - 24 Hour Dispatch phone number 281-463-6666. If your house will be vacant or you are on vacation it is HIGHLY recommended to have it placed on the Pct 5 vacation/special watch list. Nextdoor - Neighborhood blog with all sorts of information - gets very busy and information sometimes has to be verified. Village & Southwest News - Register to receive either online. They also send out email alerts of a safety nature in times like these. If anyone would like information posted please use the Contact Us link and select webmaster.